After shopping for a new SLR to grow into, I recently pulled the trigger on the Nikon D5100. It was the result of more research than I care to let on, as I think I’ve put more time into this than certain school projects (“Emergency Water Desalination Station” comes to mind). But after going over all of my options, I do believe I made the best choice possible (at least until a new consumer SLR is unveiled) both in terms of camera and lens selection and here’s why. As I’ve mentioned before, the two most important things to me in a camera are low-light performance and competent video. The first quality is determined by the image sensor (more on that later) and the second is a function of the digital and software design talent of each brand. There are some overarching themes within each major brand. Canon, being the biggest with something like 60% marketshare of SLRs, has always been comfortable in the field of video since they make camcorders and the like. Video capabilities on Canon’s are pretty much rock solid in every respect: good codec/compression, up to 60 frames per second video, resolution plays nicely with HDTVs, kinda sorta does OK autofocus, handles motion artifacts and the like well. Nikon, nearing 30% marketshare, generally follows Canon’s lead, but they either don’t think 60 FPS shooting is necessary, or don’t have the capabilities to do it. Both Nikon and Canon use the H.264 video codec. So does Sony, but video is a little weird in their realm. Although they offer 1920×1080 recording, instead of regular 720p they have 1440 x 1080 which quite frankly isn’t appealing to me at all. Leave it to Sony to choose the more awkward implementation (anyone remember/use “memory sticks”?). Oh, and Pentax has the capabilities of yester-year’s Nikon video technology except encoded in the more cumbersome MPEG codec. Winner for video features: Canon and Nikon. For the image quality comparison I looked to my old friend DxOMark, the optical benchmark pros. What defines low-light performance is signal to noise ratio versus sensitivity (ISO). Higher ISO essentially makes your camera make do with fewer photons of light, but if you sneeze the wrong way (digitally speaking) you get a degraded image. The classic comparison is buckets and rain. Although the D5100’s images might appear slightly grainier than pics from cameras like the 60D, it is primarily due to how Canon’s default noise reduction is more aggressive than Nikon’s. Despite being ‘noisier,’ the Nikon’s picture manages to convey more of a textured feel. These samples are 100% crops of a studio test scene which you can navigate through at DPReview’s site, and compare against other cameras if you’re interested. You can quantify the noisiness of an image by taking a picture of a known sample and comparing it against what you get out of the camera. The difference between what you see and what you get can be graphed on a logarithmic scale (since ISO is measured as such). The Y-axis represents signal to noise ratio, higher scores mean truer representations. From DxOMark, we have a comparison between the D5100, 60D, and K-5. What this chart shows is that at every sensitivity setting, the D5100 preserves more of the original “signal” (image) than the 60D. These results hold true against the 7D and T3i, by the way. It’s not to say they don’t produce usable images, but the D5100 can maintain a clearer image across all condition (assuming you have comparable lenses). It also demonstrates the fact that the K-5 and the D5100 share a common image sensor pedigree, but the K-5 pulls ahead in the expanded ISO range that few dare ever use. There are other charts on DxOMark that include things like dynamic range and such, but I’ll leave them to you to pursue. Just click on the SNR screenshot and it’ll take you to the comparison page. In short, for those of you too lazy to make more than one mouse click in your exploration of camera nuances, the D5100 holds up well against the best of the best of consumer SLR’s in all categories. Winner in terms of image quality in sub $2000 market: D5100, as well as D7000, Pentax K-5, and random Sony cameras which I already discounted. This leaves a few miscellaneous things to consider, like features and ergonomics. The D5100 from reviews and brief use, isn’t bad. It doesn’t have all the bells and whistles (read: buttons and knobs) that a camera like my old K20d had, which means it’ll be a little slower in changing settings. Software wise it’s no slouch, as it has tricks like Auto HDR and more gimmicky effects bundled in. So in short, although there’s always room for improvement, the D5100 is quite capable on it’s own which should not be a problem if you’re flexible and open your mind. 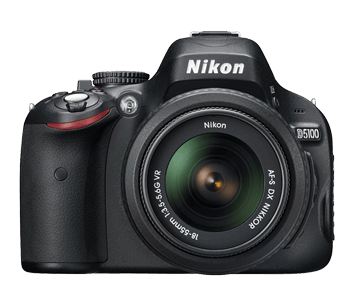 Which leads me to my conclusion, a mixture of opinion and science, the Nikon D5100 is the best consumer SLR for picky-people-who-like-milking-every-detail-out-of-a-picture-in-photoshop, but wallet conscious buyers as of spring 2011. Note about comparisons: I kept Pentax in the charts because although I'm more than ready to jump ship to another brand, staying with Pentax would save me $250 in recycling old lenses. Unfortunately Pentax has 2 models in it's lineup: a $600 camera, and a $1400 one. Neither one was a good fit, in my opinion. Also, the 60D is not the 600D, which is also the T3i. Canon's pricing indicates they think it's better than the T3i, but in reality, aside from minor nuances like build quality and a few features, they perform about the same. Oh and you might notice that the 7D comparison image from DPReview isn't identical to all the others. It's because the studio set naturally shifted between 2009 to present day. It happens.